Constructed around 1940 as a railroad water-treatment facility, the Tank was moved by a utility company to Rangely in the mid-1960s for use as part of a fire-suppression system. The plan was never realized, as the underlying shale proved unable to support the weight of the filled tank. However, the bed of gravel upon which the tank was placed bowed its floor into a gentle parabola, giving it its remarkable acoustical resonance. In 1976, sound artist Bruce Odland was shown the place by two Rangely locals. Odland understood immediately that he had stumbled upon a treasure. “I’d never heard anything like it,” he said. “I’d never heard a sound last that long, with these dizzyingly beautiful reverberation effects going all over the place.” For years after Odland’s discovery, The TANK became a secret performance and recording space for a dedicated group of sound artists and musicians. Then in 2013, when The TANK’s existence was threatened–the owner considered selling it for scrap–these artists and others responded, forming a group called Friends of The TANK, which included volunteers from all over the country, as well as members of Rangely and Rio County governments, many Rangely area residents, and local businesses. Two Kickstarter campaigns and many donations from individuals enabled us to secure The TANK and its land; install electrical service, ventilation, and lighting; build an access road and parking lot; cut a full size door for legal access and to accommodate large instruments for the first time; seal and paint the floor and walls, construct a deck, install safety fencing, and provide sanitary facilities. We then petitioned for a Change of Use permit from storage facility to assembly hall and, once the renovations brought the facility up to international code, The TANK received its Certificate of Occupancy. Further funding from individual donations funded an executive director position and enabled us to hire others to operate the facility. During Rangely’s Septemberfest 2015, an Open House at The TANK drew musicians, performers, and visitors from Rangely, Denver, Vernal (Utah), and beyond. Spontaneous jam sessions, a workshop with homeschool students, two concerts at the local elementary school, many hours of sonic exploration by local residents, and a free concert came together at The TANK that weekend. A few weeks later, The Flobots visited The TANK as part of “Detour,” a pilot program from Colorado Creative Industries and the Colorado Office of Economic Development. 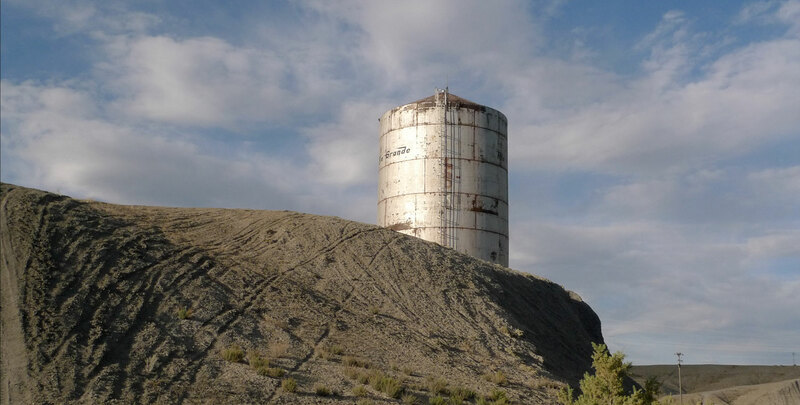 Even before its official opening, The TANK was already known, talked about, and visited by people in the region, and fast became a signature element of the Western Slope. In 2017, its third season of operation, The TANK hosted dozens of reserved visits, recording sessions, artist residencies, and performances, including dates by Rinde Eckhardt, Jessica Meyer, and the Grammy-winning vocal group Roomful of Teeth, along with many local events, like a presentation by the Jefferson County Open School Marimba Band, “Open Saturdays,” during which local residents and visitors can visit The TANK, and off-site concerts by visiting artists in the town park and elsewhere. Critical to the continued success of The TANK is the ongoing support of the Rangely community. From the beginning, local supporters have contributed knowledge, in-kind contributions, and steadfast support. Rio Blanco County and Rangely officials have helped us in many ways, including donating and installing a gigabyte fiber optic internet connection, which gives us the capacity to live-stream events in The TANK around the world. Over Christmas in 2016, a group of residents recorded Rangely A’Caroling at the Tank, which we produced as a CD. Proceeds from the sales of the CD are split between The Tank, Rangley School District RE4 and Colorado Northwestern Community College. The TANK is a unique and hopeful sign in a time of division in the country. Here’s Alex Ross, writing in the New Yorker: “In Rangely, locals have embraced the scheme. Urie Trucking built an access road into the site. The W. C. Striegel pipeline company supplied raw materials that can be converted into percussion instruments. Giovanni’s Italian Grill created a special Tank pizza. Rangely is a conservative town—Trump voters greatly outnumber Clinton voters—but it has welcomed the incursion of avant-gardists bearing didgeridoos, and some of the most dedicated sonic tinkerers are locals. A military veteran finds peace playing violin in the Tank.” This united response to the Tank is a powerful testament to the potential of art to provide common ground in American culture. 2018 finds us at a new stage of life as a cultural organization. We have changed our name officially to The TANK Center for Sonic Arts. We have hired a new Executive Director, James Paul, who comes to us with much experience in running arts nonprofits in New York. We’ve also just hired Bobbie Fiscus to be our new Operations Manager. Bobbie is a Rangley resident and the former airport manager. And we’re developing programs to bring the contemplative and meditative experience of the TANK to veterans, children with autism, school kids and seniors. For more about the history of The TANK, read Waving Hands Review: From Steam Age to World Music Stage The History of Rangely’s “Tank” by Heather Zadra.